A society organized in New York Jan. 28, 1897, upon lines similar to those of the Maccabæans in London, England. 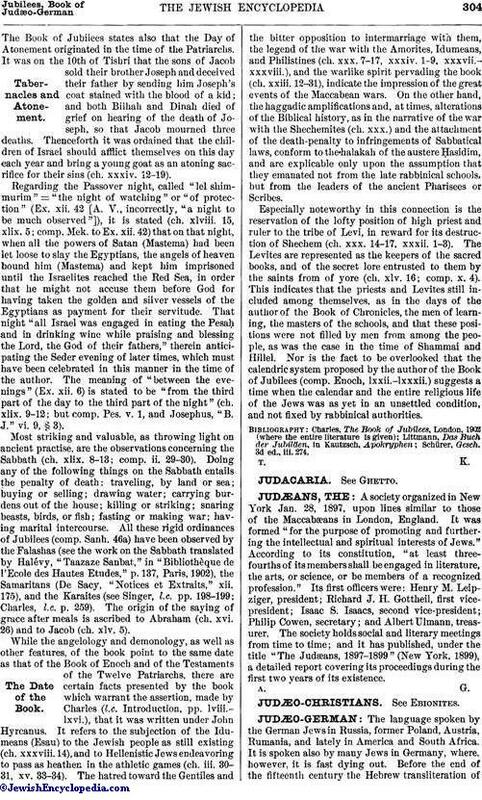 It was formed "for the purpose of promoting and furthering the intellectual and spiritual interests of Jews." According to its constitution, "at least three-fourths of its members shall be engaged in literature, the arts, or science, or be members of a recognized profession." Its first officers were: Henry M. Leipziger, president; Richard J. H. Gottheil, first vice-president; Isaac S. Isaacs, second vice-president; Philip Cowen, secretary; and Albert Ulmann, treasurer. The society holds social and literary meetings from time to time; and it has published, under the title "The Judæans, 1897-1899" (New York, 1899), a detailed report covering its proceedings during the first two years of its existence.